Echo Bay is a unique expression of time and place. A home and gathering place for the family and friends for over 5 generations. A 5-acre south-west facing slope farmed without the use of chemicals and a focus on natural practices including biodynamics. 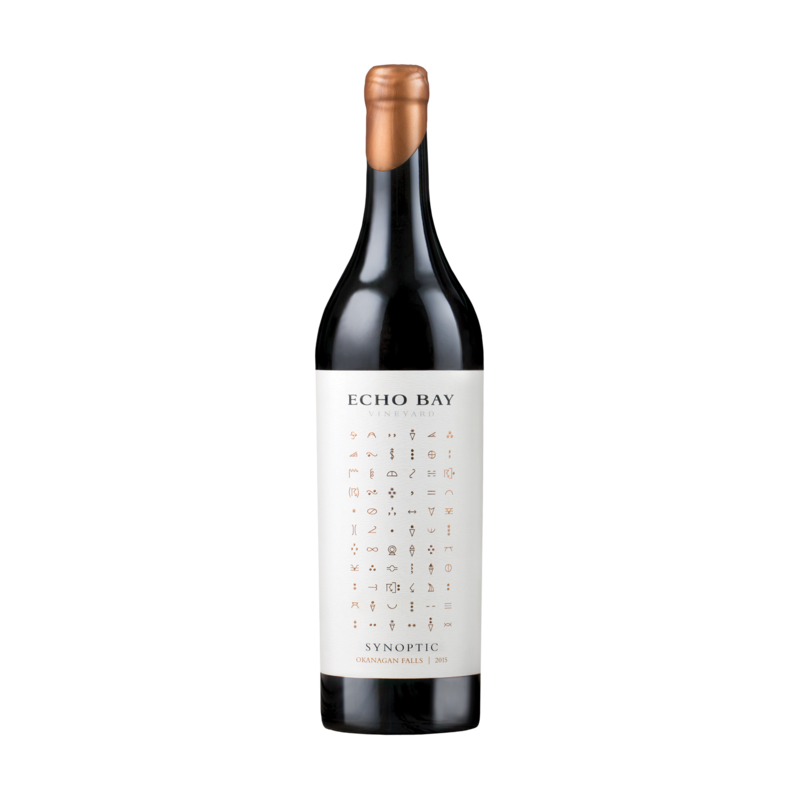 The 2015 Synoptic is the signature red blend made with estate grown Merlot, Cabernet Franc, Cabernet Sauvignon, Malbec, Carmenere, and Petit Verdot – aged for 19 months in French oak. Originally intended for the signature blend. Aged for 19 months in French oak, with only two select barrels chosen for release.